Make your tree pretty with Marilyn Monroe! 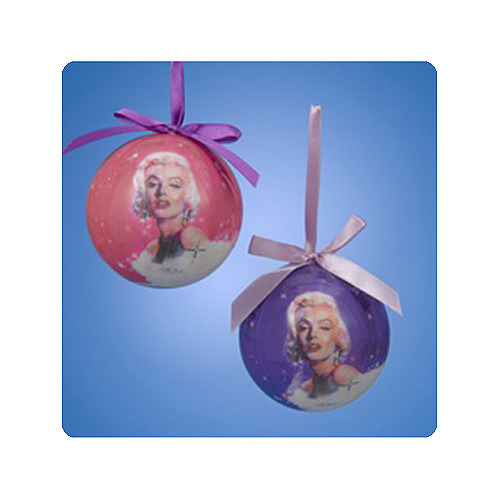 This Marilyn Monroe 3-Inch Decoupage Ball Holiday Ornament Display Box contains 12 individually packaged holiday ball ornaments. Each measuring approximately 3-inches in diameter, you'll get Marilyn on a pink or a purple background!